We have provided design services to Perkins for over 18 years. This long-standing relationship is a testament to our commitment and passion for the meaningful work of the school. 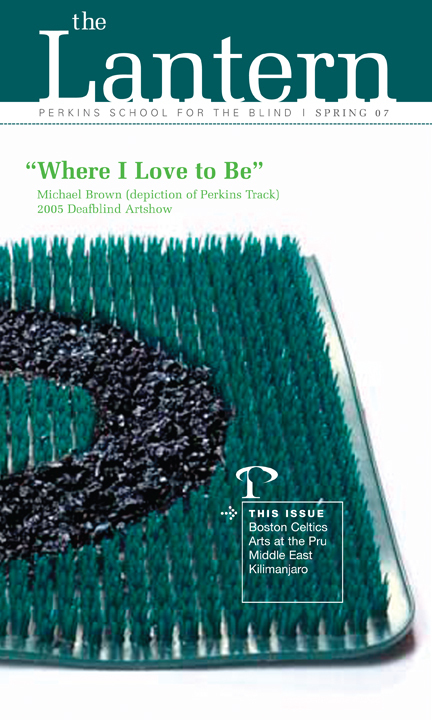 The 2007 Annual Report focused on the impact and global vision of Perkins School for the Blind. The sensitive portraits of Perkins students and staff capture the depth of the ongoing dedication to all who are part of the Perkins family. For this Annual Report, the cover strives to portray a modern-day Annie Sullivan and Helen Keller. We designed The Lantern for over 15 years, then we were asked to create a new contemporary look for 2008. The redesign included the addition of vibrant four-color photography and a slightly smaller trim size. The new format resulted in a savings of nearly $60K annually in printing and mailing costs.